Thayer County Health Services (TCHS) Rehabilitation Department is located on the north side of the hospital, where it has been recently updated and expanded and has been a part of TCHS since 1985. The rehab staff, dedicated to the mission of TCHS, works to provide services countywide and throughout the surrounding communities. 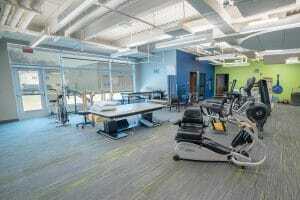 The rehabilitation department services include physical, occupational and speech therapies. The rehabilitation department provides work screens for various organizations in the community, can test for body fat composition via impedance, and is available for presentations on various topics privately or to the public. Physical therapists treat individuals with diagnosis, such as orthopedic dysfunction and neurological impairments. A continuum of care is provided as patients progress from an inpatient to an outpatient setting. The goal for our patients is to achieve a smooth transition for those whose diagnosis allows them to maximize their rehabilitation potential. Educating families and patients about the impairments that challenge them enhances their ability to return to employment, school and independent living. C Loupin – Rehab from Kassaundra Hartley on Vimeo. 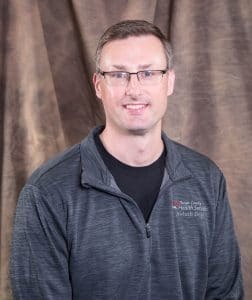 Bradley D. Cooper, PT, DPT, OCS joined the rehabilitation staff as the department head in June of 2000. 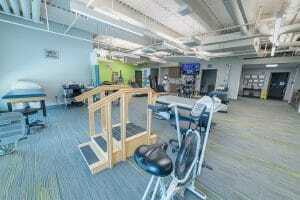 He received his Master’s and Doctorate of Physical therapy from the University of NE Medical Center, Omaha. 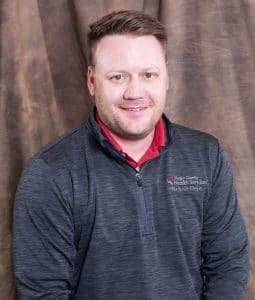 Brad became board certified as an Orthopeadic Specialist by the APTA in 2007. Steven E Williams, PT, DPT, CCI joined the Rehabilitation staff in July of 2010. He received his Doctorate in Physical Therapy from Clarke University in Dubuque IA. He has been credentialed as an Advanced Clinical Instructor by the APTA in July 2011. Traci Zelenka, CPTA has worked in the rehabilitation department of the hospital since 1998. 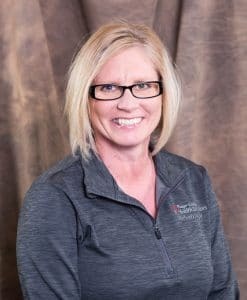 She received her Physical therapy assistant diploma at Colby, Kansas and is certified in the state of Nebraska. 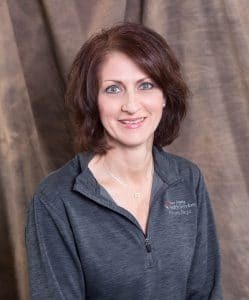 Traci has been recognized by the American Physical Therapy Association with certification in advance clinical knowledge in the area of orthopedics. Shelby Schardt, PTA joined the TCHS rehab staff in September 2016. 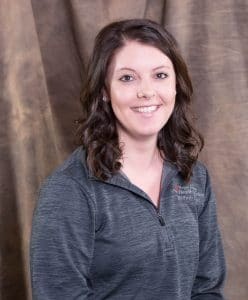 Shelby graduated with distinction from the Physical Therapist Assistant program at Southeast Community College in Lincoln, NE in March of 2015. Shelby is also a certified Pharmacy Technician, earning her degree from Southeast Community College in Beatrice, NE in 2013. Occupational therapy can help patients maximize their abilities in everyday aspects of life and maintain their quality of life. An Occupational Therapist can advise patients about techniques they can use to reduce fatigue and increase independence. 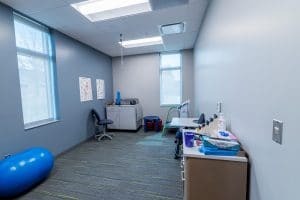 They can also suggest equipment, in-home alterations, and individual programs which would enable our patients to improve their function in specific areas. 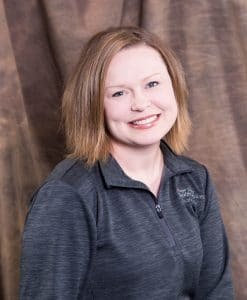 Abby Walters, MOT, OTR/L, joined the Rehabilitation team in August 2018. She grew up in Davenport, Nebraska. 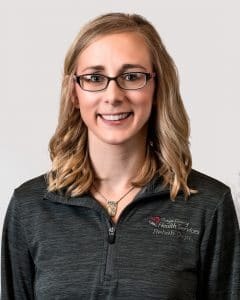 Abby received her Bachelor’s degree in Rehabilitation Studies and Master’s degree in Occupational Therapy from the College of Saint Mary’s in Omaha, NE. Abby was awarded ‘Outstanding Occupational Therapy Student’ at graduation in May 2017. Abby began her career in Occupational Therapy working with geriatrics within assisted living and skilled nursing facilities. Abby is certified in Interactive Metronome for Pediatrics and Adults and Physical Agent Modalities. Abby and her husband, Wade, live in Shickley, Nebraska. Anne Simms, BS, COTA/L, CLT joined the TCHS rehab staff in May 2011 as a Certified Occupational Therapy Assistant, after receiving her degree from Central Community College. Anne also received a Bachelor’s of Science degree in the area of Family Studies and Human Services from Kansas State University in May 2005. Anne became certified in Superficial Thermal Agents in August 2011. She completed the Manual Lymph Drainage and Complete Decongestive Therapy training program through the Norton School of Lymphatic Therapy to become a Certified Lymphedema Therapist in March of 2018. Anne provides occupational therapy services throughout Thayer County and the surrounding communities. A speech therapist, also called a speech-language pathologist, evaluates, diagnoses, and treats difficulties involving speech, language, voice, fluency, and swallowing. Speech therapists work with children and adults who cannot produce sounds clearly, who have rhythm and fluency difficulties, or who have voice disorders. Individuals who have problems producing or understanding language, as well as those who want to modify an accent, can be helped by speech therapy. 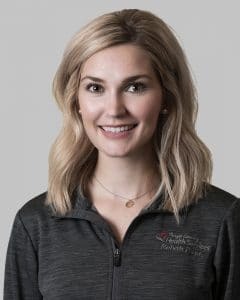 Amanda Carlson, Speech & Language Therapist joined the TCHS rehab staff in August, 2018 as a Speech Language Pathologist. She attended the University of Nebraska, Lincoln and received her Bachelor’s Degree in Education and Human Sciences. Amanda then attended Fort Hays State University in Hays, Kansas where she received her Master’s Degree in Speech Pathology in 2015. Amanda is certified in VitalStim Therapy, PROMPT, and LSVT-LOUD. She is a member of the American Speech-Language Hearing Association (ASHA). Amanda lives in Shickley, NE with her husband and daughter. Tracy Tietjen, Rehab Receptionist/Office Manager, joined the TCHS rehab staff in July of 2012. Originally from Ruskin, Tracy has brought over 24 years of healthcare work experience to her position. To schedule an appointment, please call Tracy at 402-768-4633.